Launch NY is a Venture Development Organization (VDO) encompassing the 27 counties of Upstate NY, playing a unique and necessary role: Providing “Proof of Concept” Funding AND Support. 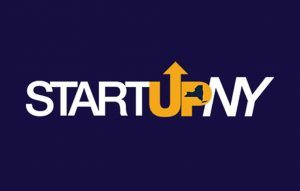 Launch NY provides entrepreneurs experienced mentoring using best practice processes and connections to specialized resources both in and beyond the Upstate NY ecosystem. Thus preparing you to compete for and win the funding and additional resources needed to move forward. Launch NY provides investors looking to drive business success and build the Upstate NY economy access to investable opportunities at multiple levels, ranging from direct investments to funding critical startup activities. Upstate Capital is the association that connects capital providers to opportunities across New York state. Since 2003, the association (formerly UVANY) has been the place to meet capital providers from angel and early stage to middle market private equity investors, lenders, professional advisors, entrepreneurs and company executives. We facilitate access to capital for companies and deal flow for investors by maintaining a robust network through membership, events and communication. We connect, educate, inspire and celebrate the investors, entrepreneurs, executives and professional advisors who build businesses in Upstate New York. The CenterState Corporation for Economic Opportunity is dedicated to the success of our member companies and the region in which we live, which is why business leadership and economic development are at the core of CenterState CEO’s mission. Members gain valuable access through our Business and Economic Development team to make them, and the region, more competitive. This includes access to economic development support, advocacy, visibility, business resources, cost savings, employee development, and connections to nearly 2,000 members across the region. We can also help your business become more competitive in international markets through our export assistance programs. Our economic development initiatives deploy a range of resources to nurture business retention and expansion. We also administer strategically focused business attraction initiatives to bring more jobs to our community. New York’s Southern Tier is a leading area for high-tech manufacturing, university research and development, and food science/agricultural technology. The Southern Tier Startup Alliance (STSA) leverages the region’s best assets — including a partnership between top research institutions like Cornell University, Binghamton University and Corning — combined with mentorship and connections to capital, enabling our member startups to grow rapidly. FuzeHub provides New York State manufacturers with guided access to our extensive network of industry experts, programs and assets to solve productivity, commercialization, research and development issues, and other challenges to growth. FuzeHub provides New York State manufacturers with guided access to our extensive network of industry experts, programs and assets to solve productivity, commercialization, research and development issues, and other challenges to growth. Have an Idea? We’ll help you flush out initial concepts and understand the roadmap to execute on it. Blackstone LaunchPad Members may schedule a free confidential 1:1 meeting. Already formed a company? We can help overcome obstacles as you grow and scale your business. And, we invite you to share knowledge, best practices, post jobs and find team members across the global network. Just curious? Join our online community consisting of students, faculty, staff and alumni representing a multitude of disciplines. Globally, Blackstone LaunchPad is accessible to over 500K students. From competition to commercialization, 76West has the resources your startup needs to succeed. 76West is an unparalleled competition focused on growing entrepreneurs and attracting resources from the U.S. and around the world to build clean energy businesses and jobs in New York State’s Southern Tier region. The competition offers $20 million in prize money and support services, including a $1 million top prize. 76West is designed to further develop the regional community of clean energy technology innovators, industry experts, educators, and investors, as well as help startups get early users for their technologies. Winning clean energy startups that are located outside of New York State will need to demonstrate economic impact in one of four ways to meet prize requirements. See competition details to learn more.